As of Wednesday afternoon, acting Interior Department Inspector General Mary Kendall had still received no word from the White House on news reports that she is being replaced by an administrator from the Housing and Urban Development Department. 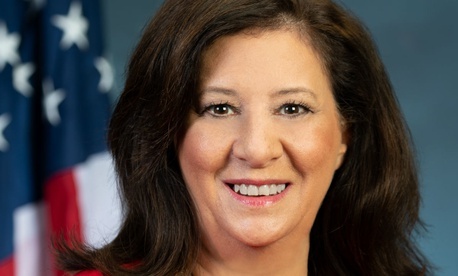 Suzanne Israel Tufts, assistant HUD secretary for the Office of Administration since last December, is being sent over to Interior temporarily, according to a Friday internal email from HUD Secretary Ben Carson wishing her well. The email was obtained by the nonprofit Project on Government Oversight, which tracks IG vacancies. The reported move of the urban affairs and human resources specialist—not confirmed yet by the White House—raises questions on two fronts: how it will address the ongoing push by advocates to pressure President Trump to permanently fill vacancies at IG offices relying on acting leaders, and suspicions among critics of Interior Secretary Ryan Zinke that the move could be related to the IG’s ongoing probes of his travel expenses, business interests and political activities. The Interior IG position is the longest-standing vacancy among the 73 slots governmentwide. Earl Devaney, who left as Interior’s IG in February 2009 to run President Obama’s Recovery Board, told Government Executive that to his knowledge, replacing an acting IG with another acting “has never been done with IGs, though it has been done with other political appointees.” The watchdogs created under the 1970 Inspector General Act “are supposed to be selected for nonpolitical reasons,” he noted, though perhaps a few were considered for political reasons. The White House did not respond to queries by publication time.